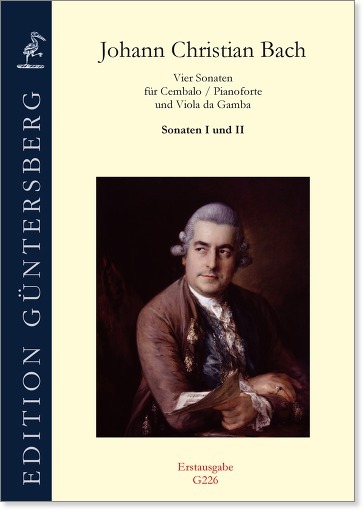 On 29 May 1992 a hitherto unknown group of manuscripts, which contains, among other things, two sonatas for harpsichord and viola da gamba and two sonatas for pianoforte and viola da gamba by Johann Christian Bach, was put up for auction at Sotheby’s in London. The lot went to a private collector; the transaction remained largely unnoticed, and the music remained unheard. It is therefore a great pleasure for us now to be able to make these unique sonatas available to all music lovers. Besides the compositions by Abel these are the latest works of a renowned composer for the viola da gamba in England. They considerably broaden the repertory for this instrument.